As promised, the robot arm has not languished in the living room. 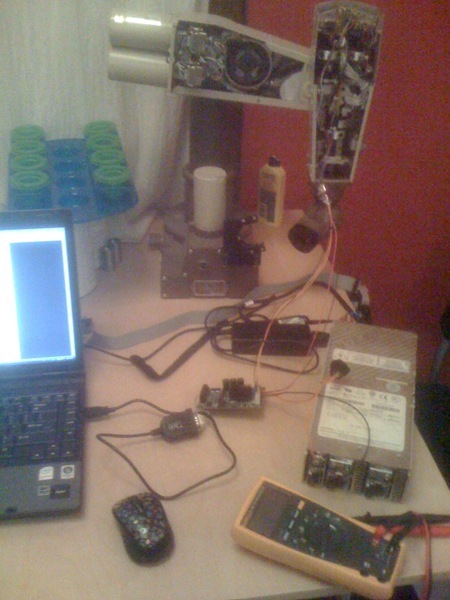 Thursday afternoon, in fact, was spent getting a new motion control board talking to the arm, with great success. Sad as I am to take my custom-made PCB out of the equation, it seems the surest way to actually bring this project to completion in a reasonable time-frame. There’s a bit more work to do before I’m ready to order 5 more of these boards (one per motor in the arm) — for example, solidifying how the boards will communicate with a computer (RS232? RS485? something else?) and figuring out how to engage and disengage the electromagnetic brakes on three of the motors (the boards don’t seem to have any general purpose I/Os) — but with $85 and a few wires, I’m now significantly further along than I was designing my own circuit board. 2011 – year of the robot bartender? It’s been great to get back into woodworking, and things are going well setting up shop in my friends’ basement, conveniently just a few blocks away on Capitol Hill. 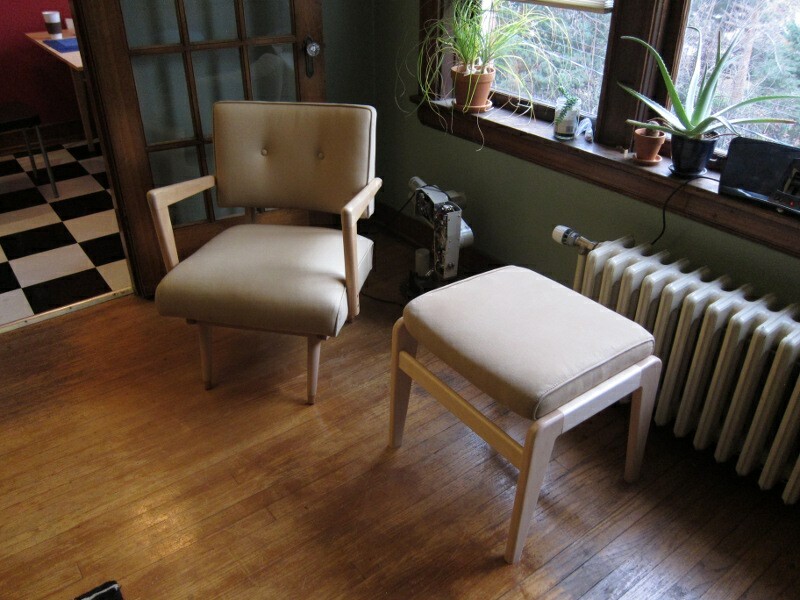 Some more details on the chair/ottoman are up on the project page here. You might notice the robot arm, lurking in the background of that shot. I haven’t been slacking entirely on that project, either, having ordered an off-the-shelf motor control board to try out. If it works like I think it does, I should be able to hook one of these up to each motor in the arm and control them via a shared serial bus. But the woodworking has taken up most of my project time, so I haven’t had a chance to play with the controller just yet. Also, I put up some pictures from my whirlwind, 36-hour trip to New York for a very fun wedding — check them out here. Just posted on the Microsoft Hardware Blog is a piece I wrote about the tail mechanism for the Arc Touch Mouse (I was the lead mechanical engineer). The project, as you can tell from the blog, involved some fun, innovative design work (along with plenty of trips to China). I’m psyched for the upcoming US release!